Anyway, I had been trying to color in only the flowers on this shot, which I took in my friend Adrienne’s freshly painted kitchen. However, the more I looked at it, the more I thought that was too obvious. 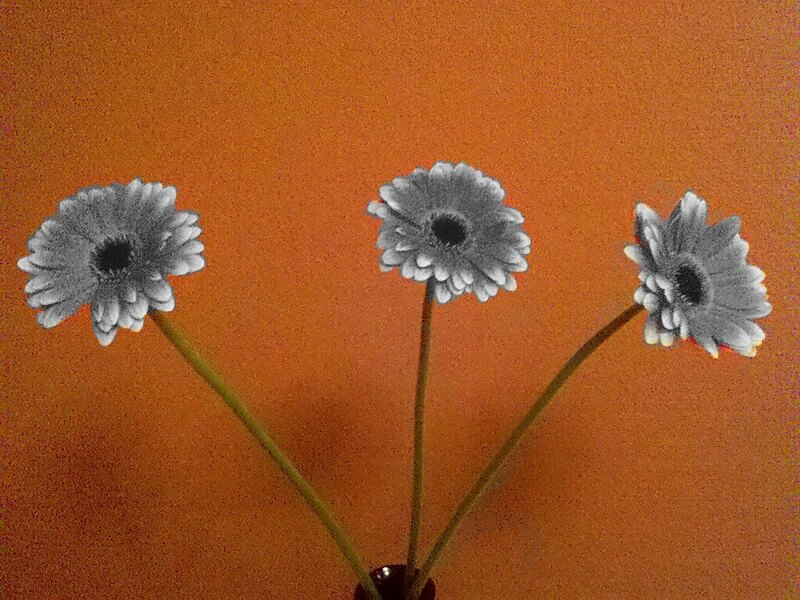 Instead I opted to leave the flowers black and white and restore the background color. I like the effect!